Rarely has a group been so protected from downward mobility as today’s children of college-educated professionals. Growing up with record resources, the children of college-educated professionals have what they need to remain in their social class. And, yet, downward mobility remains common. This book project explains how downward mobility occurs from the upper-middle-class. It argues that upper-middle-class communities encourage upper-middle-class youth to develop identities that are incompatible with staying in their original social class. Youth internalize identities that match those their parents hold but that are no longer rewarded by upper-middle-class institutions, or they internalize identities that move them toward class reproduction in school and college but away from it as they enter the labor force. Forced to choose between abandoning their sense of self or their class position, most choose the latter. They maintain their identity and lose their class position. Inequality nearly always persists or accumulates over the life course – it rarely fades away. The transition from college to work among students who attend the same college is a key exception – in this instance, graduates from unequal class backgrounds receive equal earnings. This book follows over 60 college students from the beginning of their senior year to their first year in the workforce to understand how students with unequal childhoods launch into adults who receive equal pay. It shows that students are not allocated into jobs based upon how much cultural, social, and human capital they possess – capitals associated with students’ class origin. Rather, students are allocated into jobs based upon criteria unassociated with their class origin – their ability to correctly guess where to exchange their capital, what capital to exchange, how to exchange it, and whom to ask for help. Luck – guessing well – matters so much as employers do not give students enough information for them to take any other approach. This project is funded by the Spencer Foundation. Both the public and scholars debate whether a college degree can level the playing field for students from different class backgrounds. Sociologists know that the answer to this question lies not only in the human capital that students develop in college but in the cultural capital that they deploy as well. This study examines if colleges provide all students, regardless of their class background, the cultural capital needed to get their foot in employers' door. It does so by drawing on a unique data set: a random sample of 1,124 applications college seniors used to apply for the same job, stratified by applicants' class, race, and gender. We find that students from different class backgrounds do not share a common way of presenting themselves as they graduate from college. On four of five aspects of their applications, working-class and middle-class students present themselves in different ways. This study seeks to understand how college graduates from different social class backgrounds apply to graduate school. 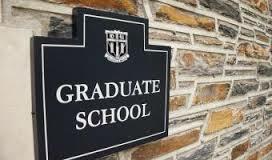 The study focuses on six aspects of the graduate application process: (1) the decision to go to graduate school, (2) the process of collecting information about graduate schools, (3) the criteria used to select universities and programs to apply to, (4) the process of applying, (5) deciding which graduate school to attend, (6) and ideas about how to pay for graduate school. The study will determine how students from different social class backgrounds engage in each of these steps. In doing so, it will answer the question of whether a college degree levels the playing field for students from different class backgrounds by providing them with the resources they need to successfully apply to equitable graduate schools.